Take 1 capsule two to three times daily. Take 3 capsules twice daily with food or water. Recommendation: Take 3 capsules twice daily. The Time Honored Chinese Herb Used to Support Immune System Functions! This herb from Nature's Way is believed to be of value to the body's immune system, especially during the winter months. 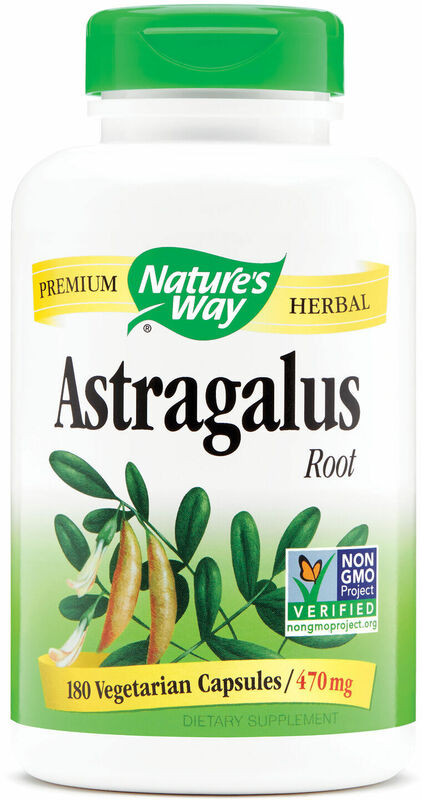 Astragalus is considered to have a normalizing effect on body functions. It is harvested wild in Northern China and Mongolia. Early Chinese writings refer to Astragalus as "The Superior Tonic." It ranks as one of China's most important herbal medicines and is commonly used in Chinese cuisine.